Zebronics, India’s leading brand of IT peripherals, Audio and surveillance products. 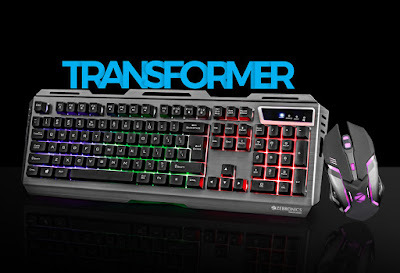 Zebronics has introduced it’s premium gaming combo called Transformer which includes a premier gaming keyboard and a mouse. 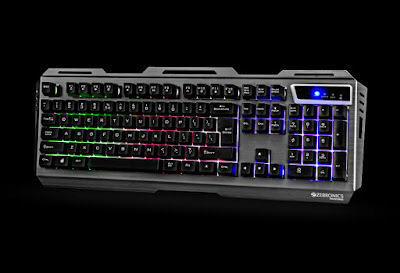 The premium range tagged as Gamer’s Dream, distinctively covers a wide range of peripherals, keyboards, headphones etc, designed exclusively for gamers. 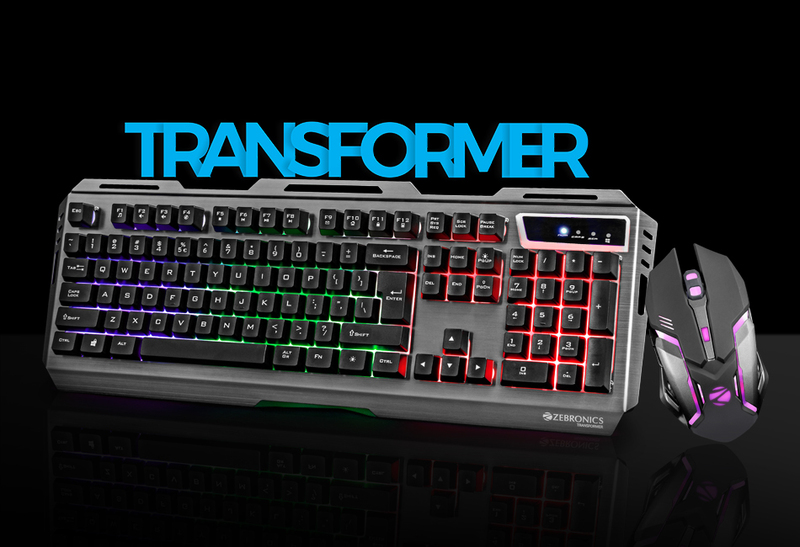 Out of our niche range comes Transformer, a perfect combination of a USB gaming keyboard and mouse that is built premium for gamers keeping functionality on par with style and LED lights. 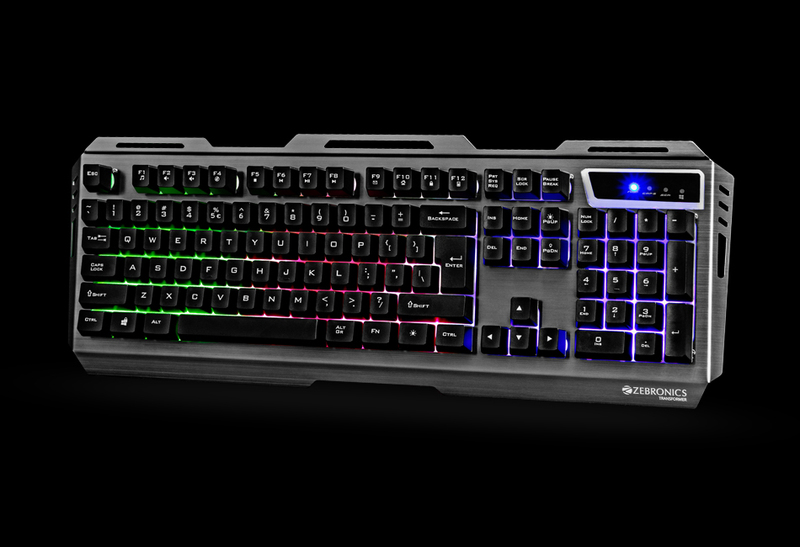 The Transformer USB keyboard airs a premium feel with a complete aluminium frame with laser keycaps and multi colored LED with 4 modes. It comes with a superior quality braided cable and a high quality USB connector. 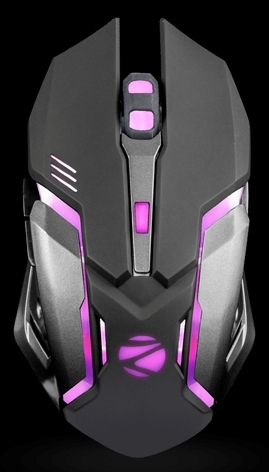 The superior quality mouse that comes along with this keyboard is nothing short of, when it comes to it’s build and features.The mouse comes with an ergonomic design with 6 buttons and is a high sensitivity mouse with 3200DPI. It has 6 breathable LED modes, a sturdy 1.8 meter braided cable and comes with high quality USB connector. The product is already available in leading retail stores across India.